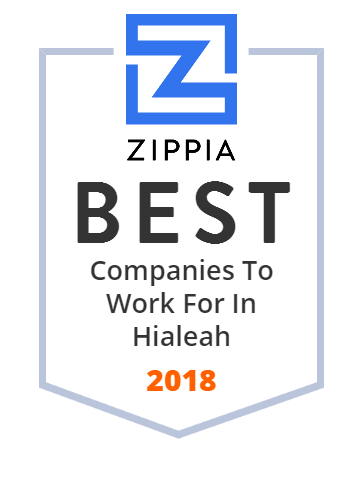 We hand-curated a list of the best companies to work for headquartered in and around Hialeah, FL using data on salaries, company financial health, and employee diversity. Techno Tools Corporation designs, manufactures and markets diagnostic test equipment primarily for the air conditioning refrigeration, heating and automotive industry. SAE International published the new J2791 refrigerant leak detector Standard in 2008 to establish a minimum performance criterion for a modern class of electronic leak detectors. Techno Tools Corporation's leak detector models D440A and D400 have been certified by an independent test laboratory to be compliant with SAE J2791. For nearly a century, Standard Coffee has delivered top-quality brewed-beverage products and equipment to where America lives, works and plays. Their robust coffee and tea menu features the most popular brands and brewing options including single-cup, roast and ground, and whole bean which is perfect for employees' and guests' wide range of brewed-beverage preferences. Some of their products include Javarama, Mars Drinks, Green Mountain Coffee and more. Hyde Shipping Corporation began in 1976 as a small family-owned business located on the Miami River. Hyde Shipping leased a one (1) acre tract of property with 250' of dock space for docking vessels and built a 5,000 sq. Ft. Butler building which served as warehouse and office (500 sq. Ft.) for its original 6 employees [4 of which are still employed today]. This privately owned company has around 500 employees with a revenue of up to $100 million. Eagle Manufacturing Group manufactures municipal castings and industrial products for customers in the United States. It offers floor access doors, fall prevention products, and metal grating products; ladders and hoists, guide rail brackets, and special design products; and custom doors. Eagle Manufacturing Group was founded in 1937 and is based in Hialeah, Florida. It has manufacturing plants and general offices in Medley and Hialeah, Florida. It has a manufacturing plant in Ogden, Utah. For over 35 years, Statewide has been a market leader providing their customers with laundry equipment that is cutting edge, energy efficient, and most of all, reliable. This company is dedicated to providing their customers with the best available programs that will guide them to achieve maximum profitability. This commitment has contributed to their consistent, steady growth year after year. Statewide has offices in Miami, Orlando, Tampa and Jacksonville and they serve Georgia, North Carolina and South Carolina. Bernard Cap specializes in the manufacture of fine quality uniform headwear and apparel for the United States military and armed forces. As one of the most trusted suppliers of cut and sew services and products in the industry, Bernard Cap has also produced specialty soft goods and contract manufacturing for various foreign militaries, service academies, airlines, police and fire departments, and other organizations. PTE Strand's focus is to provide value engineering with the re- design of conventional concrete structural plans to include the value and strength of post-tensioning. They offer a full range of services and products by applying their skills to large construction endeavors while remaining flexible enough to accommodate small and intermediate size projects. PTE Systems International offers engineering expertise, state-of- the-art-equipment and unparalleled service to assure durable and cost-effective structures. Hialeah Hospital is a 378-bed acute care facility with an experienced medical staff of more than 900 employees. Since 1951, they have been providing compassionate care to their neighbors and their friends and families. Because they know hospital trips are especially challenging for their elderly neighbors, Hialeah Hospital provides specially designed senior services including a Senior ER and an Acute Care for the Elderly (ACE) Unit. Professional Plumbing Corp is a plumbing contractor that has been serving the condominium, apartment, office and commercial building markets since 1973. It specializes in new, large scale construction projects. Some of its projects include the Blue & Green Diamonds, One Plaza Apartments, Turnberry Ocean Colony, Opera Tower, Peninsula I & II, etc. Its business philosophy is never to be satisfied with the standard, constantly improve, exceed expectations and become the example. Palm Springs General Hospital, Inc. operates as a hospital and provides healthcare services in Florida. Its services include medical and surgical specialties, laparoscopic surgery, emergency care, outpatient services, physical therapy, and educational programs for continuing care; obstetrics and psychiatric services; dietary services; and diabetes and nutrition educational programs. The company was founded in 1965 and is headquartered in Hialeah, Florida. As of February 1, 2016, Palm Springs General Hospital, Inc. operates as a subsidiary of Larkin Community Hospital, Inc. Founded in Hialeah, Florida in 1962, Sedano's Supermarkets started out as a neighborhood grocery store and has grown to serve communities in both southern and central Florida, with more than 30 independent stores. This company's goal has always been to provide their customers with Hispanic products that bring back the flavor of their countries. Established by the Guerra and Herran families, Sedano's Supermarkets continues to operate as a family business, and they are proud to provide a quality service for their clients and employees.